New Kids Adventure Area has just been finished. It has a roof to protect from the intense summer sunshine. 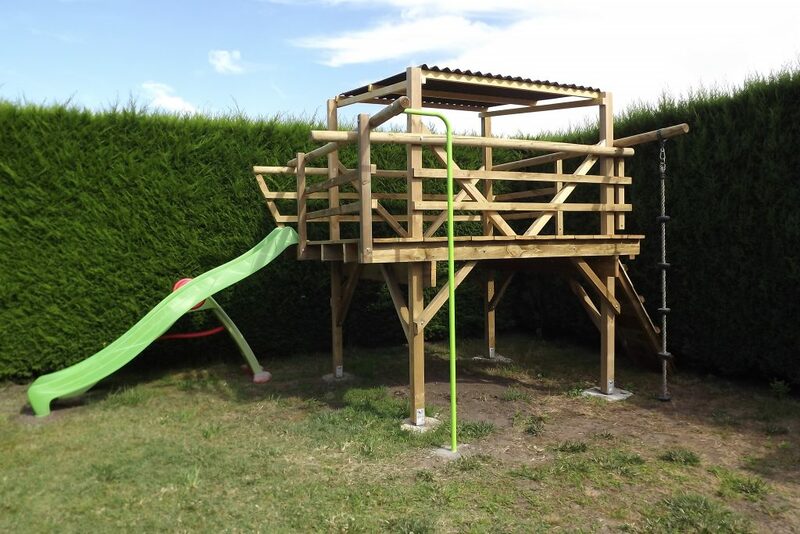 It has a 1m.50cm platform with a climbing slope up to it. Once on the platform there is a firemans pole or a slide to get back down. Underneath is a mini picnic table for the kids to sit and enjoy a snack out of the sun. 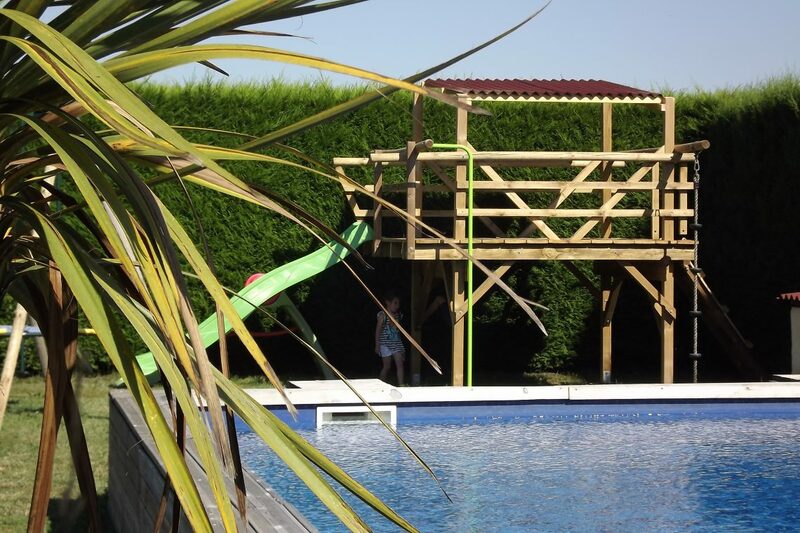 While the kids are having fun in the adventure area parents can sit in or around the pool and watch them. Not to mention they are still in sight whilst cooking in the summer kitchen or getting a BBQ on …. If you have any questions just drop us a line here.